In one of the dumbest lawsuits since the McDonald’s coffee spill felt ’round the world, Apple has won an appeals case relating to iPod-induced hearing loss. 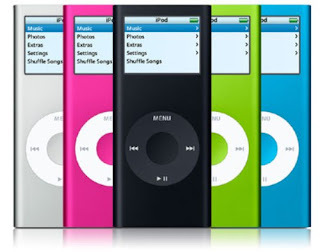 The Ninth Court of Appeals in San Francisco upheld a district court’s ruling that the plaintiffs in the case failed to prove that the iPod presents serious risk of hearing loss. The case was brought by plaintiffs Joseph Birdsong and Bruce Waggoner who attempted to make the argument that Apple’s iconic MP3 player lacks adequate volume meters and noise isolation. They also argued that ear buds are designed to be stuck deep into the ear, increasing the risk of hearing damage. So how bad are these guys’ hearing to inspire such a lawsuit? Not too bad at all, since their argument had nothing to do with their own hearing loss, just with the perceived potential for hearing loss. That minor detail didn’t stop them from making a run at a little Apple green, but it did stop the court from ruling in their favor. The appeals court found that the argument essentially belonged in an Apple suggestion box rather than court.